A pack of cigarettes in the mail? I shook the package about, not a rustle. Well-packed cigarettes? Tearing open the package revealed a handsome sturdy black card box. More aural than oral pleasure. No cigarettes, but the much-vaunted shiny Zorloo ZuperDAC greeted me in its exquisite packaging. Nesting in classy gray foam, its inert form like a sci-fi key to unlocking audio nirvana. The shiny cold textured aluminium skin reminds you that this futuristic-looking tiny dongle is built upon the foundations of audiophile legends. Metal chassised beasts of yore miniaturised for mobility. A glossy insert is included to help map your way around the music, where North points to your standard USB output, and South where you stick it… deep… jacking Your Head Set in… be it a small set of earphones or a big pair of headphones. If the ZuperDAC remains plugged in all the time, you definitely won’t mind its naked, uncovered USB port. Unlike those huge racks of audiophile gear, firing up and burning in the ZuperDAC never gets it more than skin-warm during use. It’s like craddling an overachieving baby in your palms. No mean feat, shrinking all the components of a full-sized DAC AND headphone amplifier into something no bigger than your standard lighter. 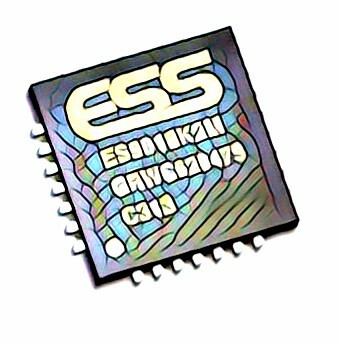 The beating blossoming heart of this thingamabob is the ESS9018K2M, the same DAC chip that powers desktop DAC beasts that at their smallest, are volumetrically 23x larger. Not to mention 3-10+ times the price! Coupled with it for output is the ESS Sabre 9601K HiFi headphone amplifier. Where the Ausgang in any human creature is usually less polished than its Eingang, the 9601K turns in slightly worse, but still illicitly impressive numbers. Together they deliver a truly ear-pleasing measured 115dB SNR and <90dB or <0.003% THD+N in Zorloo’s miniature wizardry of circuitry cyclones. Enough with numbers! How does the ZuperDAC really sound? Herein, sticking with its sci-fi looks, the ZuperDAC breathes and sings with a life-like quality. The spine-chilling knowing that the musicians are in the room reality, even though you know you’re all alone. An immersive soundstage greets headphone and IEM fans, with that slight touch of midrange magic warmth. Adele’s vocals are surreally real (ahem) on ‘Rolling in the Deep’… Bass heads won’t be disappointed by the tight rhythmic low-end. The beat on that song resonates with an almost palpable chest-thumping effect. Almost, because with headsets… the Ear Canals are as far as the sound waves get. There is no flabby bloat to the bass, everything is tightly in focus, bouncing with no loss of energy. High range extension is present, with a smooth upper edge to layer on richness to the lush midrange. There is no shrillness inherent even with screamers. Michael Jackson’s ‘Bad’ thrills with chills up the veritable spine. Those looking for a world-class “budget” DAC-on-a-stick to run home HiFi Stereo solutions will also be greeted by a large soundstage. Compared to the ZuperDAC coupled with headsets (or other desktop DACs running 24/192) the ZuperDAC when mated with speakers powered by an amplifier give an upfront account of the lead vocalist or soloist. Coltrane’s sax on ‘Moritat’, whilst not exactly in your lap, makes you feel like you have the front seat at the recording. This in no way makes the wide stereo soundstage seem squashed, more a matter of how close you are to the main players, and how large the imaged space is, to the rear of the players. We ran our ZuperDAC through a modest custom hybrid integrated amp powering a pair of Usher Audio s520’s. Some tube-rolling in the preamp stage for ECC82’s (we’ll save that for another review) had us settle on RCA Clear Tops. 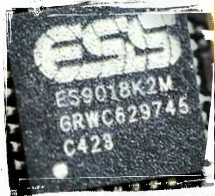 There is slightly less air compared to monster-sized DACs based on the same chip, with a slight roundness to the usually almost-shrill clinical treble associated with ESS9018K2M offerings. Here, Zorloo has given us a warmer life-like presentation. Like a micro holograph projector from the future, Zorloo’s amaZing ZuperDAC acquits itself well when called upon to pick up a brilliant mono recording. The ZuperDAC recreates mono Mercury’s symphony orchestras with stunning realism. There is an undeniable delivery of gorgeous soundstage space reproduction. Nat ‘King’ Cole on Analogue Production’s mono SACD… Older non-audiophile Bing Crosby jazz vocals come to life, reminding you that the Ol’ Groaner was really the first hip White man. The Beatles syrupy harmonies in the superb mono remaster of ‘Michelle’ blend smoothly in your ear, exciting aural stereo recollections. In short, the ZuperDAC makes mono recordings breathe in a way you’ve never heard them before. This in spite of not having a dedicated mono circuit. There is none of that cutout cardboard quality inherent in so many reproductions of those well-engineered mono recordings of yore. Noise is virtually zero. Compared to a portable no-name Chinese DAC (USD45 based on the aging PCM2704 and topping out at non hi-res 16/48), the ZuperDAC did not pick up electronic chirpy noise when used with a mobile running Android. Circuit and chassis shielding is good enough, running off an iMac, holding our mobiles in an active call close to the ZuperDAC gave us no interference. Background hiss on headsets required volume knobs at a forced twist beyond maximum. Added hiss on our stereo hybrid tube amplifier was not evident. Android and Mac OSX did not have trouble recognising the ZuperDAC out of the box. Windows users will be glad to know that we got our unit running with Foobar using the drivers supplied online. The dreaded Mac OSX clicks and pops we experienced with our full-sized M8A by SMSL were thankfully missing in this micro-wonder by Zorloo. Adapters aren’t required for desktop solutions. However, Android users can easily get either a direct micro USB adapter or a cable. iPhone and iPad users do need lightning adapters, and as with Android, painless recognition and assimilation follow. Signal path isn’t compromised in the least with additional cabling. Those who subscribe to expensive audiophile cabling will find no aural difference when using a no-name El Cheapo Chinese cable. Purists will definitely have much to thank Zorloo for the ZuperDAC’s neutral warmth, WAF aesthetics, and ease of use. Lovers of short signal paths who believe in the less-is-more doctrine have to look no further. Neutral warmth if there ever was a description, offer non-tube subscribers that longed-for breath of life. Nowhere is the ZuperDAC clinically sterile. Aesthetics beats other offerings like the hiface crap looking DAC.